The wait is almost over. As we near the Game Of Thrones equivalent of D-Day (that’s April 14 for anyone that missed the big news), some even bigger news has been dropped just in time to celebrate the final season of all things medieval and fantasy. This week, a sling of limited-edition Single Malt Scotch Whiskies has been dropped and you’re going to want to grab the whole line-up. 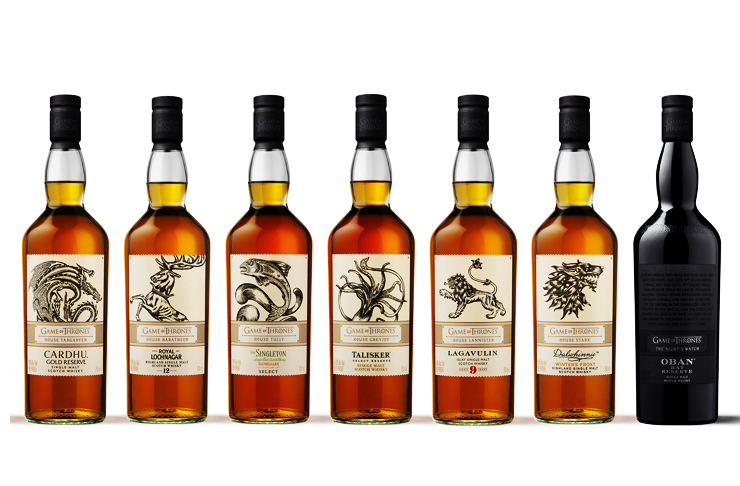 The collection features seven Scotch whiskies paired with each of the six iconic Houses of Westeros as well the Night’s Watch. In other words, you’ll be drinking all Seven Kingdoms. Each whisky slash kingdom has a distinct flavour including House Targaryen (an obvious ode to the fiery Daenerys) is embodied by Cardhu Gold Reserve and House Baratheon by the Royal Lochnagar. Our favourite? Potentially controversial House Lannister, which is a delicious Lagavulin 9 year old. Head here for more detail on where to nab these bad boys up. And here's everything to know about the final season of Game Of Thrones.